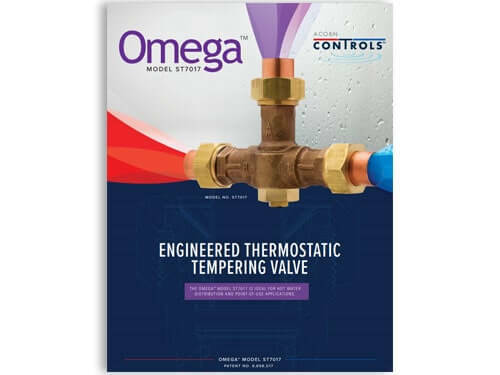 Acorn Controls has introduced two new, innovative tempering valves. 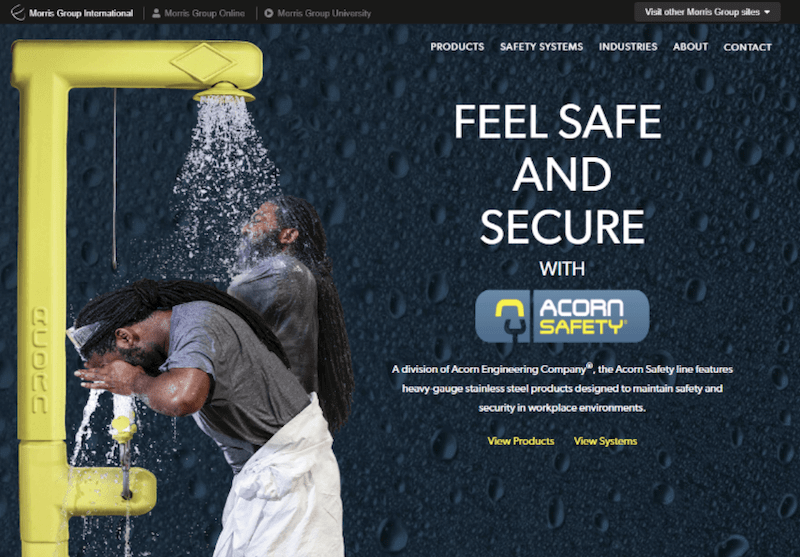 Acorn Safety has released a new website to profile the company’s portfolio of products. 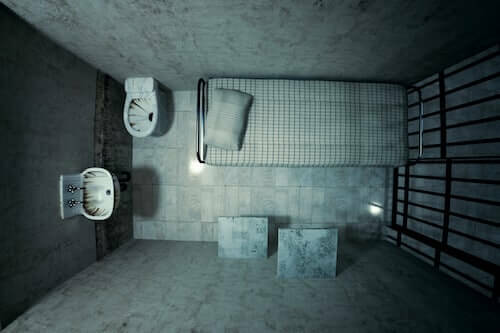 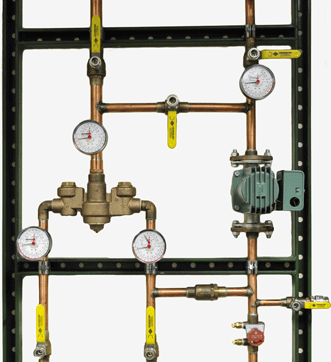 Article: Have You Completed Your ANSI Safety Shower Site Survey? 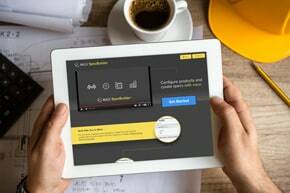 Performing regular safety shower surveys not only keeps you in compliance with ANSI standards but ensures the safety of your workers and visitors. 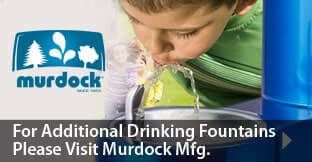 There's no need to call in special consultants. 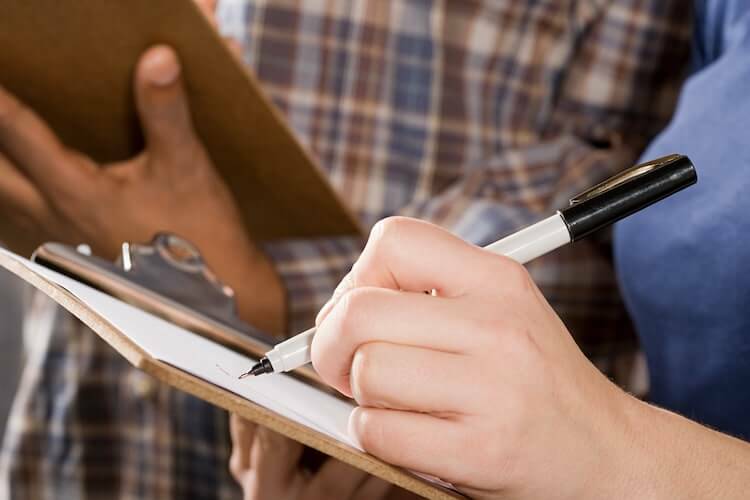 Simply download our checklist to guide you through the survey. 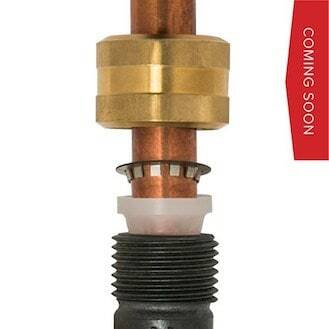 Acorn Controls is pleased to announce the TwistConnect™ fitting for several of its mixing valve models. 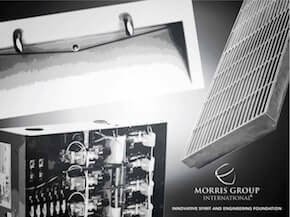 Despite what you’ve heard, there is only one way to size your master mixing valve. 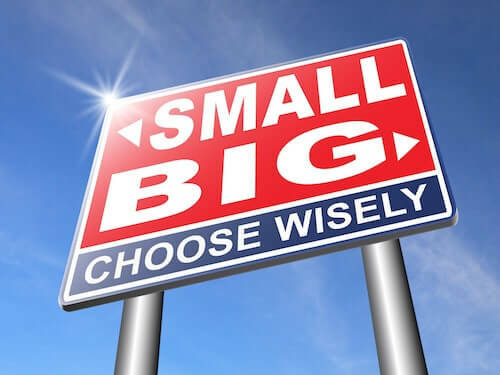 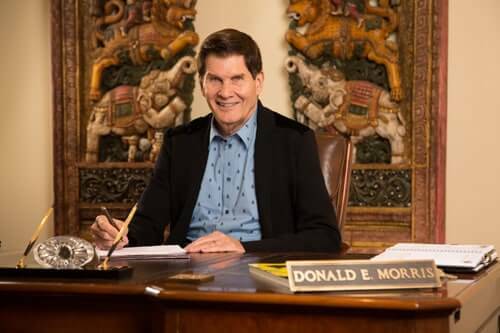 Read about why it's important to get it right and just how to go about doing it correctly. 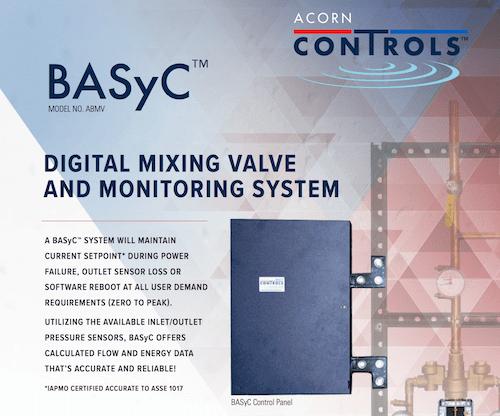 Acorn Controls has released a new product to control the recirculating hot water systems in buildings – Acorn BASyC™. 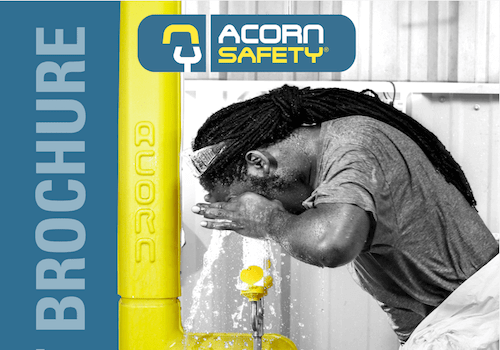 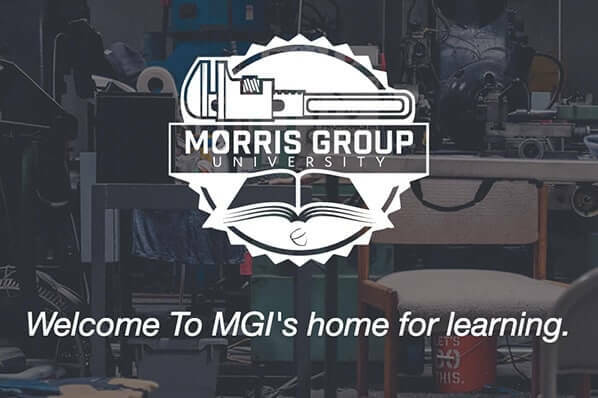 In the new brochure, learn all about the entire Acorn Safety product line, featuring heavy-gage stainless steel products designed to maintain safety and security in workplace environments. 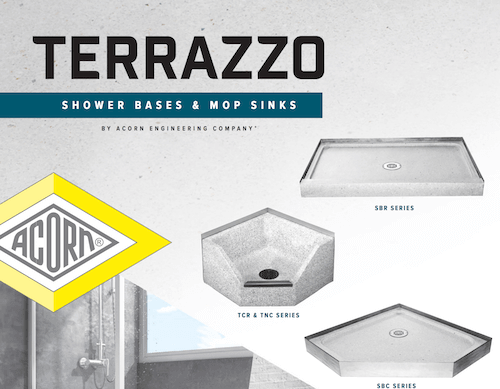 Acorn Engineering Company has introduced a redesigned brochure for its Terrazzo Shower Bases and Mop Sinks product line. 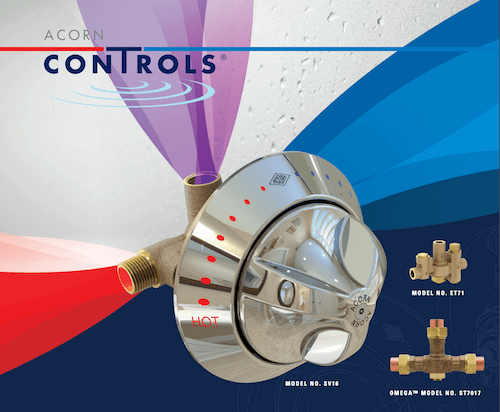 Acorn Controls has released a redesigned product line brochure. 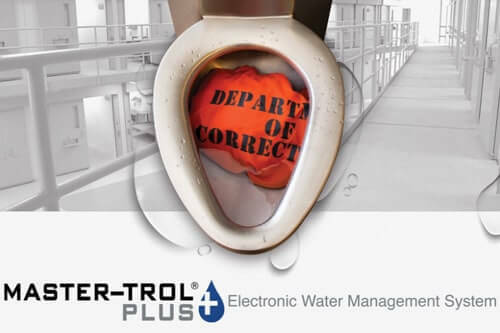 Introducing the Master-Trol® Plus Electronic Water Management System for new and existing institutional buildings looking to take control of their plumbing systems. 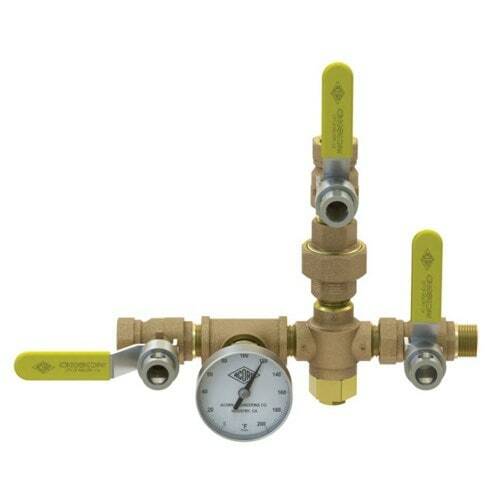 Acorn Controls is pleased to announce new products for commercial and industrial applications. 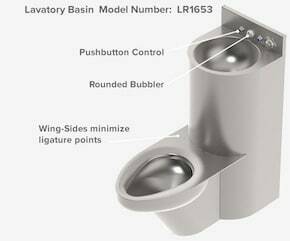 Acorn Engineering Company® is proud to announce Acorn ligature-resistant fixtures! 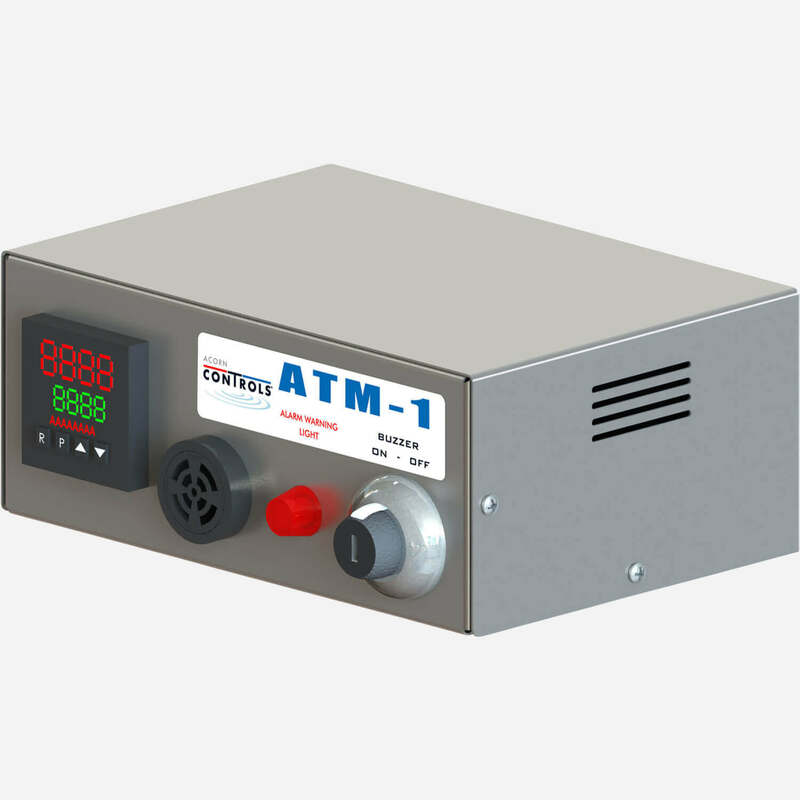 The Acorn Controls Automatic Temperature Monitor (ATM) is a microprocessor based controller ideal for sensing and alerting of abnormal temperature conditions. 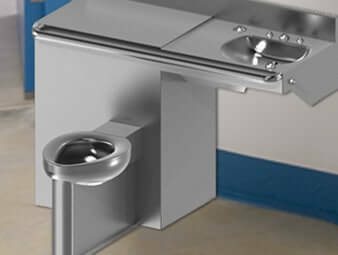 The Command Station continues Acorn Control’s tradition of developing unique solutions that creatively and effectively meet many unmet needs of our customers. 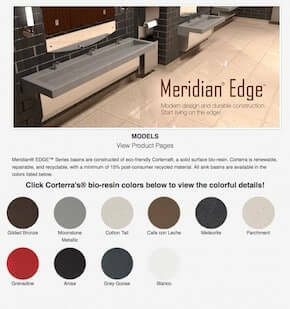 Meridian®-EDGE™ combines the look of granite with the feel of commercial-grade designer basins. 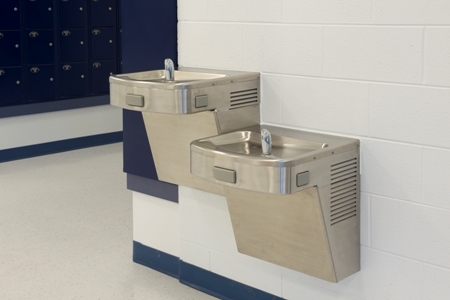 Constructed of Corterra™ recycled solid-surface polymer resin, the Meridian®-EDGE™ is available in 1-station, 2-station and 3-station configurations.